Tracy Howe from Domestic Violence New South Wales says we need to treat domestic violence the same way we would treat a natural disaster. Man Down Duress alarms – SafeTCard Will Minimise exposure to situations of higher Risk. Enough is Enough!! Lets Stop Violence against Women & Men. Using SafeTCard Domestic Violence Emergency Safety Device will put you back in control of your life. Man Down Duress alarms – SafeTCard high risk safety emergency device is the most widely used Personal Emergency Duress device for Domestic Violence Victims. With the Man Down Duress alarms – SafeTCard Domestic Violence, Family Violence Personal Safety Device we are sure there will be a Deterrent of Perpetrator and decrease of interventions. Increasing the Speed of Response by emergency services due to 100% Verified duress alarm or real time situation. Now you can feel Comfortable that Response is at a push of a button and Evidence will be gathered to STOP Further occurrence. Cost saving benefits for Police and Emergency Services by using A Device that will deliver 100% Verified Emergency Duress situation and no False alarms, directly decreasing false call outs by Police, Freeing Resources and increasing the Speed of Response to real time situations. Ok, now you can feel good, feel safe and know that SafeTCard Monitoring is with you 24 Hours a day, wherever you are. Get out of the house, live your life, that you deserve to live today… Reduce your fear of being attacked, or even worse, by using the emergency SafeTCard Domestic Violence Safety duress emergency Device. Give SafeTCard a call today and find out why many ladies are living a happier, healthier and safer life… you deserve it. One in Three is a diverse group of male and female professionals – academics, researchers, social workers, psychologists, counselors, lawyers, health promotion workers, trainers and survivor/advocates. The Campaign aims to raise public awareness of the existence and needs of male victims of family violence and abuse; to work with government and non-government services alike to provide assistance to everyone affected by family violence; and to reduce the incidence and impacts of family violence on Australian men, women and children. Contact Man Down Duress alarms – SafeTCard so we can put you in touch with one of our associations to get discounts and even funding to purchase the Man Down Duress alarms – SafeTCard. Giving Peace of mind to Women or men of all ages, in your own home or even to be able to leave the home when you choose, is our number one concern at SafeTCard, you have the right to live your life the way you choose and socialise have fun, knowing we are on your side 24 hours a day. 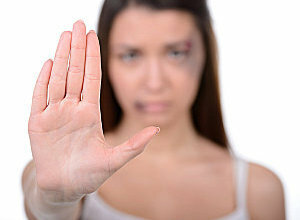 Why is Man Down Duress alarms – SafeTCard Increasing Women’s beliefs and Feelings including emotional positivity to be social again with 24 hour safety, because SafeTCard are a socially responsible Company and we believe in you and your Personal Safety and Protection where ever you are day and night. Creating Instant response 24 Hours a day in or out of the home. NOW Your back in Control……. Every child, young person and adult has the right to live in a safe family, within a safe community, to have stability and the opportunity to reach their potential. SafeTCard Domestic Violence Emergency Duress GPS Device is to compliment existing Risk Mitigation Solutions and not replace existing risk management or safety measures in place. Man Down Duress alarms – SafeTCard Domestic Violence Emergency Duress GPS Device gives Clients reliable direct access to Emergency Services as quickly and efficiently as possible. Man Down Duress alarms – SafeTCard Domestic Violence Emergency Duress GPS Device operates using an in built SIM Card and operates on a dedicated Telstra band. This eliminates the times and places when the mobile network becomes jammed or too busy with other phone users. Man Down Duress alarms – SafeTCard Domestic Violence Emergency Duress GPS Device is monitored 24 / 7 by a dedicated Grade A1 Monitoring Centre. A1 is the highest accreditation a Monitoring Centre can achieve and is equivalent to Intergraph and is there for you, at any time of the day. Relax we are with you anytime of the day….. The Man Down Duress alarms – SafeTCard Monitoring Centre has direct communication access to all Emergency Services in Australia. The Man Down Duress alarms – SafeTCard Monitoring Centre is manned by experts and qualified Emergency Services Communication personnel. This will automatically open up direct communication with the Monitoring Centre and allow for the clients audio firstly to be monitored and secondly recorded. This will continue to be recorded for 2 hours and monitored until the red alert is cancelled. The audio is streamed live to the Monitoring Centre where the experienced handlers will take appropriate and immediate action on the clients behalf. Your Life is now instantly in Good Hands. The in built microphone is extremely sensitive and will record clearly. The Red Alert function can be activated discreetly and the client has the opportunity to remove themselves from the risk or observe from a distance to relay observations or instructions to Emergency Services. The audio remains recorded and can be used as admissible evidence for any further investigation or court hearing. Continuity of the recording is maintained at all times. Man Down Duress alarms – SafeTCard Family & Domestic Violence Emergency Duress GPS Safety Device PROVIDES THE MONITORING Centre WITH LIVE GPS COORDINATES ONCE THE UNIT IS ACTIVATED. In the Event the SafeTCard is Activated in a Domestic Violence Situation it will give a GPS Location and also bread crumb track so we can advise emergency services of the exact location of the SafeTCard Unit. ONE WAY COMMUNICATION IS CHOSEN BY THE CLIENT TO MAXIMISE DISCRETION AND REMOVE THE PERCEPTION THAT BY TALKING THAT THE CLIENT MAY BE PLACED AT A HIGHER RISK DUE TO THE OPERATOR REPLYING BACK THROUGH THE STC. THE Man Down Duress alarms – SafeTCard Domestic Violence Safety Device WILL PULSE WHEN RED ALERT ACTIVATED – HEART BEAT – TO GIVE THE CLIENT COMFORT THAT THE MONITORING STATION IS LISTENING AND EMERGENCY PROCEDURES ACTIVATED. Please note the device can be set up to achieve two way communication if required. AMBER ALERT – Allows for the client to leave a voice mail message stored at the monitoring station stating where they are going and what they are doing for example. This can be set for a period of time when the monitoring station will listen to the message, assess situation and implement emergency procedures in place for the particular client. Call Man Down Duress alarms – SafeTCard so we can help you with your situation Today…. TheMan Down Duress alarms – SafeTCard Domestic Violence GPS Device can be worn like an ID, Myki Card or Car Park Pass Holder etc. The device has a rip alarm in built. If the Man Down Duress alarms – SafeTCard Safety GPS device is torn or ripped from the client the red alert is automatically activated allowing Emergency services to be contacted. The device can be programmed that when the device is tipped beyond certain degrees e.g. 75 deg. That after a pre determined amount of time (to allow for the fact that the device may have been taken off and placed on a table etc.) the device will automatically activate red alert. The SafeTCard Domestic Violence Device is 100% pre programmable to suite any application or situation. This may be required if a person is injured or in incapacitated or simply used as a self defense mechanism by the client removing the card and placing on the floor (for example). Once on charge the device will deactivate this function. All functions stated can be programmed for use or not to be used depending on the clients needs. The Man Down Duress alarms – SafeTCard has given all our clients comfort that they are being believed firstly and that immediate response is there should the card be activated. Where previously some clients were calling police directly because of suspicion that they were under threat they now appear to have the confidence to only activate once the threat is real. This has reduced the actual amount of call outs by police. However when activated the clients have received immediate response from Emergency Services. (Eventually will reduce cost of Emergency responses) The Police will receive a 100% verified Duress Emergency Alarm, bridging the Gap for Response and giving a quicker outcome over all. White Ribbon is the world’s largest male-led movement to end men’s violence against women. White Ribbon Australia is a non-profit organisation and Australia’s only national, male-led primary prevention campaign to end men’s violence against women. Through primary prevention initiatives and an annual campaign, White Ribbon Australia seeks to change the attitudes and behaviors that lead to and perpetuate men’s violence against women, by engaging boys and men to lead social change. In particular, Australia’s unique Ambassadors’ Program supports thousands of men to be the faces and leaders of the campaign, by living the White Ribbon Oath: never to commit, excuse or remain silent about violence against women. Women support White Ribbon Australia through their roles as White Ribbon Champions, encouraging the men in their lives to make a commitment to promote positive attitudes and behaviors towards women, as well as to intervene safely to prevent violence against women when needed.